The Salvation Army of Tamaqua announced it will be accepting applications from local individuals and families in need to receive Thanksgiving and Christmas food baskets. Applicants may also register to receive clothing through The Salvation Army of Tamaqua’s Angel Tree program, and gifts for children age 12 and under, through the U.S. Marine Corps Toys for Tots program. Combined registration dates for both Thanksgiving and Christmas assistance are October 20, 21, and 22, 2015 from 9 AM to 2 PM. Over the last few years The Salvation Army of Tamaqua has seen a dramatic increase in demand for services from local individuals and families. The community continues to be greatly affected by the economic downtown, including long-term unemployment, under-employment and a general lack of personal resources. Thanks to the generous support of donors, volunteers and partner agencies, The Salvation Army of Tamaqua is able to offer holiday assistance and many other supportive programs and services. According to Major Sharon Whispell of The Salvation Army of Tamaqua, the organization helped 350 families with holiday food, clothing and gifts. This year, Whispell anticipates the Salvation Army of Tamaqua will serve more than 400 families. “We are blessed for the opportunity to provide individuals and families with meaningful holiday celebrations,” said Whispell. “It is our mission to offer hope and help to those in need not only during the holiday season, but 365 days a year,” she added. – Tuesday, October 20, 9 AM – 2 PM. – Wednesday, October 21, 9 AM – 2 PM. – Thursday, October 22, 9 AM – 2 PM. · Proof of Residency such as a current utility bill (gas, electric, propane, water bill) OR lease/mortgage agreement. NOTE: Applicants must be residents of East Schuylkill and Southwest Carbon Counties. · Current Photo ID: Driver’s License, State Issued ID, Governmental/Military ID, Passport, ID from Country of Origin for ALL adult household members. ID must show current address of applicant. · Official Certified State Issued Birth Certificates for Angel Tree/Toys for Tots recipients ages 12 and under. Copies and hospital issued Birth Certificates WILL NOT BE ACCEPTED. Children must be born ON or AFTER December 17th, 2003. · Working Telephone number at which applicant can be reached between October 20-December 18th, 2015. · Social Security Cards – Legal documents bearing Social Security numbers or equivalent documentation from Country of Origin for ALL household members. · Proof of Household Monthly Income, such as a pay stub, social security, child support, award letter, unemployment verification, official food stamps verification. If no income verification is available, you may bring DHS Benefits Statement, and it must include name, birth date, social security number, benefit type and amount. · Proof of all expenses dated within the last 30 days. Examples include rent, utilities, insurance, car payments, household/cell phone bills, medical bills, ANY monthly payments, etc. · ANGEL TREE/TOYS FOR TOTS APPLICANTS – PLEASE, Do NOT bring your children to registration or distribution. Bring a list of clothing needs/sizes for each child and possible toy items under $20.00. · DO NOT REGISTER AT MORE THAN ONE LOCATION – Doing so WILL jeopardize your application at either location, forfeiting your rights to receive gifts from these programs. Members of the community who are interested in helping The Salvation Army meet the needs of individuals and families this season, should contact Major Sharon Whispell by phone 508-574-9950 or email Sharon.Whispell@use.salvationarmy.org. The Salvation Army came to the Tamaqua region in 1915, developing and maintaining a consistent tradition of unselfish service to the people when they need help most. 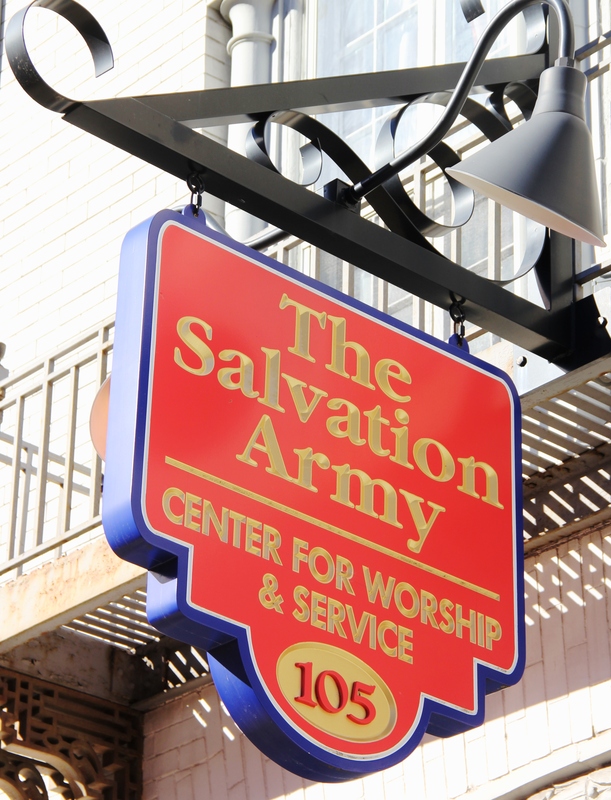 The Salvation Army of Tamaqua initiatives include emergency financial assistance, food and nutrition programs, activities for children and older adults, recreational opportunities, counseling, spiritual development, music and arts programs and worship services. The Salvation Army of Eastern Pennsylvania and Delaware is a faith-based, comprehensive human service organization whose programs help individuals, families and whole communities lead healthier, safer and more productive lives. Since 1879, The Army has held a record of accomplishment stemming from its holistic approach to providing for the needs of the whole individual – physically, emotionally, economically and spiritually. The Army’s programming operates from 82 community centers and 260 residential facilities throughout Eastern Pennsylvania, Philadelphia and Delaware, offering: shelter, hot meals, counseling, early childhood development, recreational opportunities, music programs, after-school arts and educational programs, job training, activities for older adults, spiritual development, and drug rehabilitation. For more information, please visit www.SalvationArmyPendel.org.